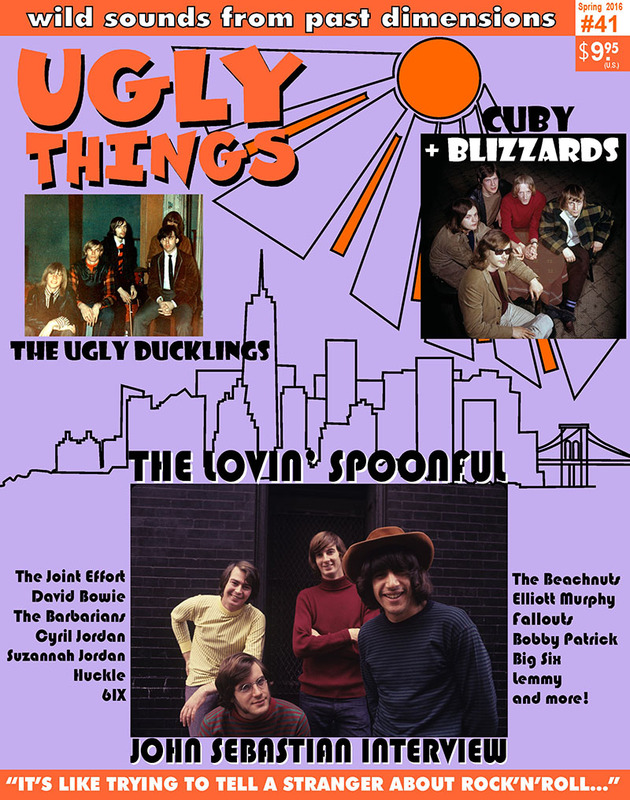 Includes an expansive interview with John Sebastian of The Lovin’ Spoonful. Sebastian opened up to reveal behind-the-scenes tales about the band’s formation, the making of their first three albums, a hashish-fueled meeting of the minds in London with George Harrison and Brian Jones, the drug bust that tore the band apart, and much more. Also on the cover: Dutch blues rock eccentrics Cuby + the Blizzards, and Toronto garage punk icons The Ugly Ducklings, both the subject of in-depth features. This issue also includes interviews with Elliott Murphy, Lemmy, Moulty of the The Barbarians, cult folk singer Huckle, and stories on The Beachnuts (“My Iconoclastic Life”), West Coast '60s outfit The Joint Effort, The Bobby Patrick Big Six, and songwriter Suzannah Jordan, a tribute to David Bowie, and the latest installment in Cyril Jordan’s ongoing Flamin’ Groovies saga. Also, as always, our extensive review sections, our readers’ go-to consumers’ guide to all the latest vinyl and CD reissues and rock‘n’roll-related books.